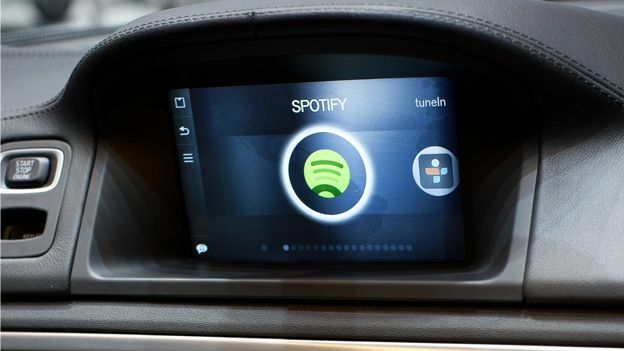 Volvo and Spotify have launched a voice-controlled in-car app at the Geneva Motor Show, it's one aspect of Volvo's new Sensus Connected Touch system which will be heading to Volvo cars this year. Using your smartphone's internet connection the car is able to stream Spotify with voice-controls and steering controls letting you change tracks, choose artists and select playlists. The Sensus system is based on Android so will be able to update easily when it needs to, as such you also get full access to the likes of Google Maps, Gmail and a full internet browser. If you break down there's a dedicated service locator which will show you the nearest Volvo specialists and then help you get in contact with them. Apps can also be 'mirrored' from the smartphone up onto the cars display using a dedicated app, not unlike Vauxhall's new IntelliLink system which lets you use a dedicated Sat Nav either on your iPhone or as the car Sat Nav.